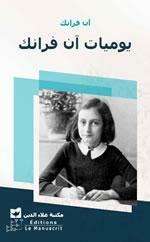 Sixty-two years after the publication of the Diary of Anne Frank in Dutch, Aladdin Library is proud to offer its readers the first authorised translations of the book in Arabic and Persian. Anne Frank was born on June 12, 1929 in Frankfurt, Germany. For the first 5 years of her life, Anne lived with her parents, Otto and Edith, and older sister, Margot, in an apartment on the outskirts of Frankfurt. After Hitler’s rise to power in 1933, the family moved to Amsterdam in the Netherlands to flee the increasing persecution of Jews in Germany. Seven years later, the German army occupied the Netherlands and the fragile peace of the Frank family was once again shattered. By July 1942, the Nazi authorities in the Netherlands had received orders to deport Jews to concentration camps in German-occupied Poland. Anne and her family went into hiding in a secret attic apartment behind the office of Otto Frank’s business. They were soon joined by four Jewish friends of the family. Several non-Jewish friends and colleagues of Otto Frank smuggled food and clothing to the secret annexe at great risk to their own lives. On August 4, 1944, officials of the German secret police, the Gestapo, and their Dutch collaborators raided the hideout after being tipped off by an anonymous Dutch caller. The eight detainees were sent to Auschwitz concentration camp in Poland. Selected for labour due to their youth, Anne and her sister, Margot were transferred to the Bergen-Belsen concentration camp in northern Germany in late October 1944. Both sisters died of typhus in March 1945, just a few weeks before British troops liberated Bergen-Belsen on April 15, 1945. Anne's mother, Edith, died in Auschwitz in early January 1945. Only Anne's father, Otto, survived the war. Soviet forces liberated Otto at Auschwitz on January 27, 1945. While in hiding, Anne kept a diary in which she recorded her fears, hopes, and experiences. Found in the secret apartment after the family was arrested, the diary was kept for Anne by Miep Gies, one of the people who had helped hide the Franks. After learning of Anne’s death, she gave the diary to Otto Frank. Since its first publication in 1947, the Diary has been translated into more than sixty languages and has become one of the most celebrated books of the 20th century. Through the diary of this Dutch schoolgirl, millions of readers around the world came to know personally one of Hitler's countless victims: an unfathomable and anonymous horror found a face. "One voice speaks for six million—the voice not of a sage or a poet but of an ordinary little girl." "One of the wisest and most moving commentaries on war and its impact on human beings that I have ever read"
"Of all the multitudes who throughout history have spoken for human dignity in times of great suffering and loss, no voice is more compelling than that of Anne Frank." "I read [Anne Frank’s Diary in prison] and derived much encouragement from it." "One single Anne Frank moves us more than the countless others who suffered just as she did but whose faces have remained in the shadows. Perhaps it is better that way; if we were capable of taking in all the suffering of all those people, we would not be able to live."